Give them something special this Christmas. 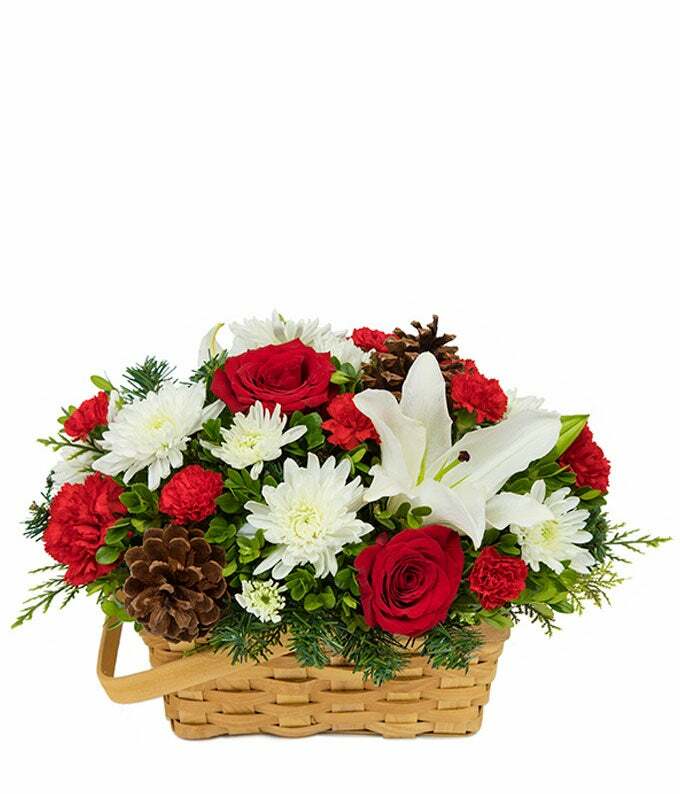 This classic Christmas basket is full of beautiful roses and lilies and is accented with pine cones for that special Christmas gift. Arrangement Height 10", Length 14"